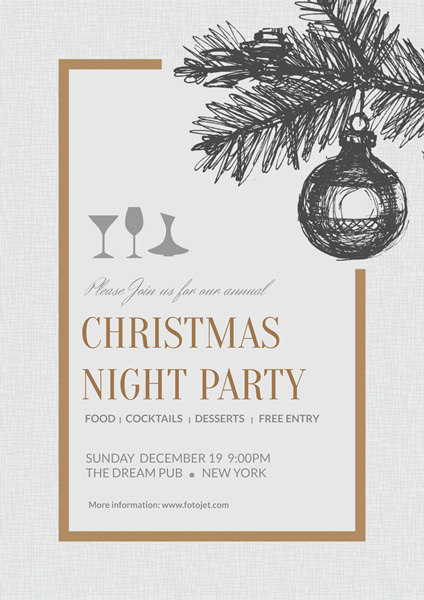 Announce your party in style with a special Christmas party poster that is a perfect for the holidays. This party poster template, featuring sketch jingle bell and candy images, is fully ready to use for sharing party information. If you want to make it more personal, you can add some adjustments on the template by changing text and its effects, adding more photos or stickers, altering the default background image. You will be glad to find that design with FotoJet is so easy and that it lessens your worries.